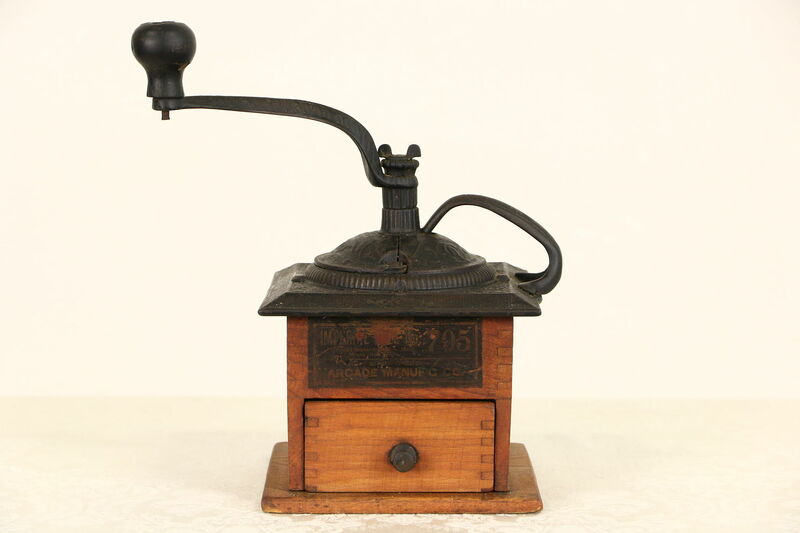 This 1890's Victorian coffee mill or grinder is signed "Imperial by Arcade Mfg Co." The grinder is embossed cast iron and still works. The case and drawer below are maple and ash with finger dovetail joints. Measurements are 9" wide, 11" tall including handle and 6" deep. See 15 photos on Harp Gallery website that enlarge to full screen size.